The wedding invitations you choose can help set the tone for your wedding theme. 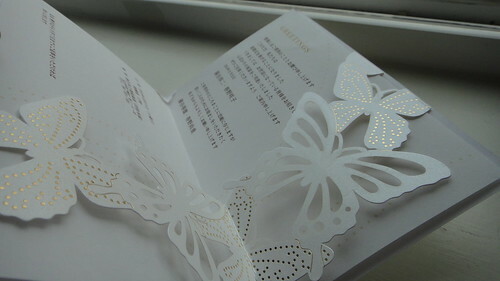 Choose invitations that are decorated with butterflies or even in the shape of a butterfly. This will drop the hint about your theme to your guests. You can start even earlier if you are sending out save the dates. Bright blues, pinks and oranges are great summer wedding colours, and they go well with this type of theme. Use bright colours for your bridesmaid dresses and as accent colours for your wedding dress. You can also use your chosen colour for the groom and groomsmen vests. After you have said your vows and professed your love to one another, finish off your wedding ceremony with a beautiful butterfly release. There are two options for this. 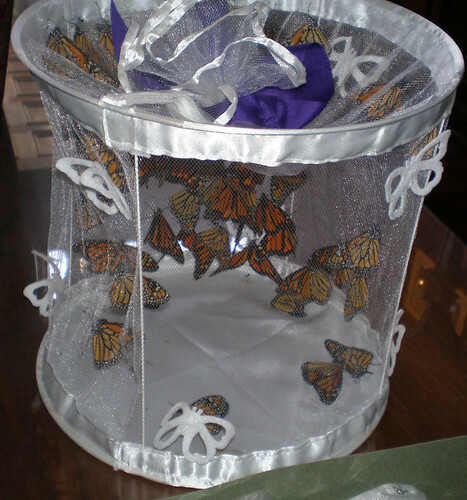 You can have a mass release from one location, or you can hand out individual butterflies to your guests for release. Many farms specialise in providing butterflies specifically for special event releases. Search for one that can deliver to you, and make sure you check references and get a guarantee from the vendor you choose to go with and ensure that they operate using humane practises. 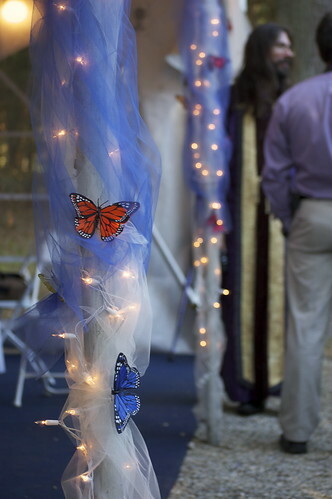 There are several great ways to incorporate butterflies into your wedding reception. Starting with your table decorations, look for items like butterfly napkin holders as a way to incorporate them into your decorations. For flower centrepieces use vases that have been painted with butterflies. You can also have your florist accent your bouquets and flower arrangements with small decorative butterflies. For a unique option use a tree with decorative butterflies hanging off the branches as your centrepiece. Your cake will be one of the highlights of your reception. 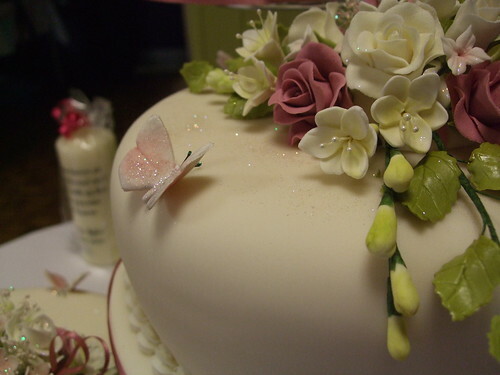 Have your baker or cake designer add fondant butterflies to your cake. Not only will they help to carry on your theme, they will also add a splash of colour. Serving cupcakes? Consider butterfly wrappers. Finishing off your cake with a Butterfly Wedding Cake Topper offers a beautiful, fun touch. Options for wedding favours include filling butterfly-shaped boxes with candy. 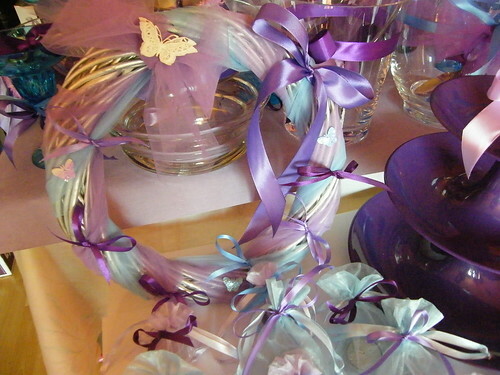 You can also find other traditional wedding favours decorated in butterflies like votives, bookmarks and photo frames. Butterfly-shaped cookies are a fun alternative as well that your guests are sure to enjoy.